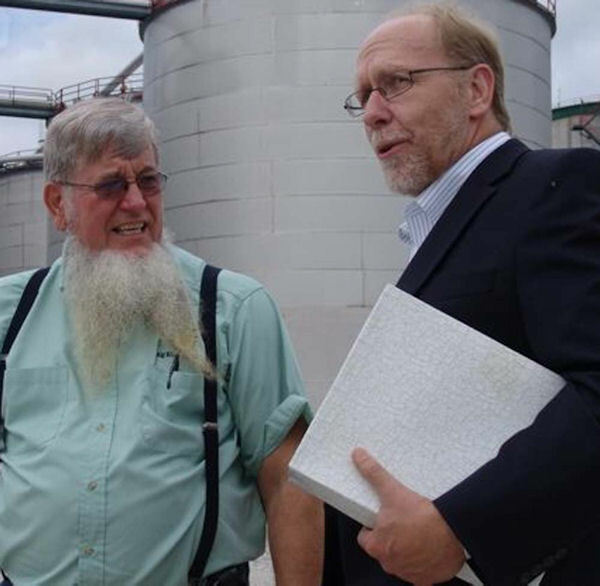 "For forty years, our nation's leaders have been aware of the dangers of addiction to oil," Ray Defenbaugh, CEO of Big River Resources, told Iowa Congressman Dave Loebsack (D) on his first visit to the West Burlington, IA ethanol plant. Defenbaugh said that, 2/3s of our nation's oil supply is imported, and it is getting "costlier, dirtier and riskier" to extract with every passing day-as the global demand for oil grows in quickly developing countries such as India and China." Defenbaugh explained the importance of working together to remain the influential leader the U.S. has always been in the world. "We have an alternative to gasoline refined from oil: domestic ethanol," he said. "And you won't find young boys or girls being sent to guard corn fields or coming home in body bags because of our use of ethanol, which is reason enough." Defenbaugh encouraged support for the effort with higher blends of ethanol and choices at the pump. "Domestic ethanol creates jobs here in the United States, and it is at least 60 percent cleaner than conventional gasoline, which reduces greenhouse gas emissions. "When we produce our own transportation fuel here in America, instead of relying sometimes on unstable and unfriendly nations to sell it to us, we strengthen our national security!" Defenbaugh encouraged the Congressman to lift federal regulations that cap the allowable blend of ethanol, from 10% to 15%. "It's a renewable, clean-burning domestic fuel," he said, and urged support of the blending credit to big oil, and of flex-fuel vehicles.